Hey, fans. We are starting a mailbag. You all have a lot of good questions, and we want to do our best to answer them on a regular basis. We appreciate the numerous questions that came through our social media channels over the last couple of days, and some of the best ones have been chosen to be answered. If you don’t see your question here, don’t worry! We will be doing this throughout the season. Let’s talk some guidelines for this and future mailbags before we dive into your questions. 1. 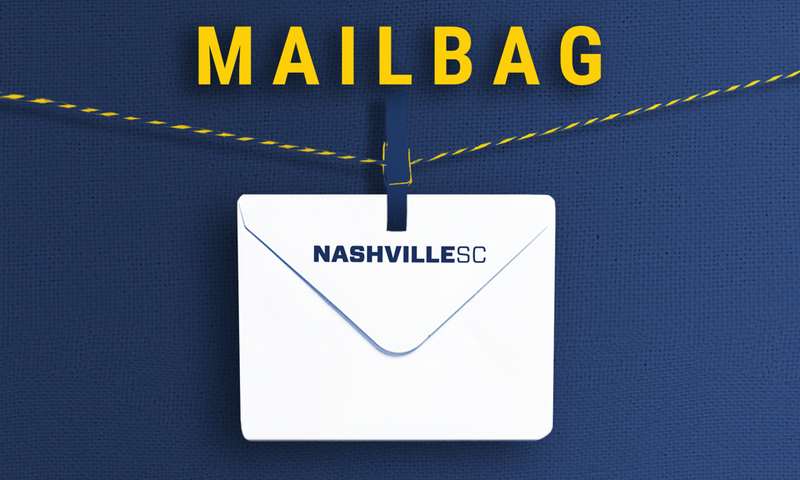 While we know everyone wants us to answer ‘Is a hot dog a sandwich?’ (It isn’t), we will stick to questions that revolve around Nashville SC and Nashville MLS. 2. We can’t answer questions that could put our team at a competitive disadvantage. We know everyone is curious how Nashville SC will lineup for each game or who might take PKs, but we will refrain from giving away any of that information. You all will have to wait until gameday! 3. We won’t spoil surprises here that are coming down the road. There are plenty of fun announcements upcoming concerning Nashville SC in 2019 and our MLS franchise. We can all anticipate together! Now, on to your questions! The first question is a good one! Nashville’s two MLS players, Daniel Ríos and Cameron Lancaster, have been signed to Nashville MLS contracts and have been loaned back to Nashville SC for 2019. The loan process is unique to soccer. Basically it is a temporary trade where a player still is under contract with one team, but plays for another to gain experience or playing time. You can be sure that they will suit up at First Tennessee Park this season. Hey, Kyle, while we are all excited about MLS on the horizon, we are also very excited for what 2019 will bring this franchise. You won’t see anyone caught looking too far ahead into the future and losing sight of what is right in front of this club. The focus is definitely on making sure 2019 is the best year it can be, while also laying the groundwork for success in MLS. Hey, Braxton, good question, and yes, there will be. Each MLS franchise is required to have a youth academy, and our MLS team will be no different. No details about a youth academy have been announced yet, but make sure to stay tuned! That is a great mentality to have, and one that we think fans started to see develop towards the end of last season. Obviously, this team had a strong defense last year, and ranked the second-best in the USL. 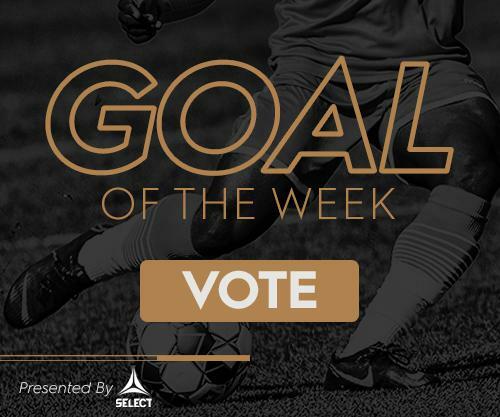 One of our favorite stats, however, was that Nashville SC scored 20 goals in its final 10 games, and really hit its stride offensively towards the end of the year. The core of that 2018 team is back, and the technical staff has made some big time signings both on offense and defense this offseason. We wouldn’t be surprised if this team was near the top of the USL in both offense and defense in 2019. Hey, Ben. We’ll start by saying that you will definitely see two future MLS players with Nashville SC next year in Daniel Ríos and Cameron Lancaster. Both have signed MLS deals and will be on the MLS roster. With Mike Jacobs as the NSC technical director and the MLS GM, the rest of the players on the 2019 roster will get to play in the shop window on a daily basis for Jacobs. There is no better platform for each player to display his skills on. Looking at what previous teams who made the USL to MLS jump in the past, like FC Cincinnati last season or Orlando City SC a few years ago, we would think some other players could transition with the club as well. We just announced a couple of young guys this week as additions to the squad in Malcolm Stewart and Danny Vitiello. You can read up on both guys here. The great thing about soccer is that acquisitions can be made throughout the year. Last season, we announced new players the week of our friendly against Atlanta United, and made more player additions throughout the season. Be sure to always be checking in on our website and social media channels for the latest Nashville SC news! We know that we are so excited for an in-state rivalry this season, and we have already heard some great rivalry names. Right now, the best way to get tickets is to become a Nashville SC Season Ticket Member. There are some great price points for season tickets and it obviously gets you in to all the games. We will have single game tickets that will go on sale at a later date, if that’s the route you want to go. Now, here is a handle that we recognize. What’s up, Alan! The ‘Player’s Collection’ shirts were definitely a hot commodity last season, and one that we hope to expand in 2019. Keep banging in goals, and we will see what we can do. Daniel will wear the number #14 this season. All of the players numbers can be found on our roster page here. Hey, Tasha. The technical staff has signed two keepers this offseason, while Matt Pickens will also be back. Connor Sparrow, from Real Salt Lake of MLS, and Danny Vitiello, out of college at Albany, are the two new guys between the sticks. We wouldn’t call anyone a backup at this stage of the season. The great thing about training camp and preseason friendlies is that each player has the chance to impress the coaching staff and earn a spot in the lineup. Hey JSP, this a great question. We think any conversation about competition has to start with Louisville City FC, the two-time defending USL Cup champions. That team brought back a lot of its key players (with the exception of a certain big time goal scorer) and added more talent this offseason. Other strong squads should be Pittsburgh Riverhounds, Charleston Battery, New York Red Bulls II and Indy Eleven, all were playoff teams last season. There are no easy games in this league as we learned last year, and we are sure that there will be some teams that surprise fans and put themselves in the playoff mix. We will stick to the above guidelines and be intentionally vague so as not to reveal too much. With that being said, there are a lot of great attacking and defending options for head coach Gary Smith. It’s a great problem for him to have, and one that we are sure many coaches around the USL would want on their plate. Hey, AJ. No surprises will be spoiled with our answer, but we can tell you that our fan experience on gameday is something that we think about every day, even in the offseason. We always have Spotify up in the office, looking for great songs to play in the stadium, or are brainstorming great video board content. We appreciate all fan feedback of the gameday experience. Get excited for home games next season! You should be able to order a custom NSC 2019 jersey in February, in plenty of time before the season starts. We will be sure to announce when those become available. Those ‘Dad-Joke’ video were hilarious, right?! We can tell you that there were plenty of NSC people in the background while those were being recorded doing their best to not ruin the take by bursting out laughing. We have plenty of funny guys on the 2019 team. One guy to keep a close eye on is new forward Kharlton Belmar. He can score plenty of goals, but is also a very fun and funny dude. We predict he will be a fan favorite in 2019. Thanks again for all the questions and be sure to start thinking about one you can submit in our next mailbag!